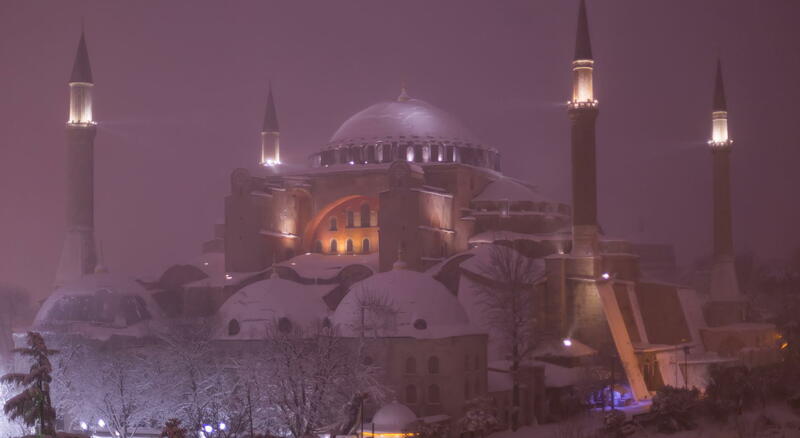 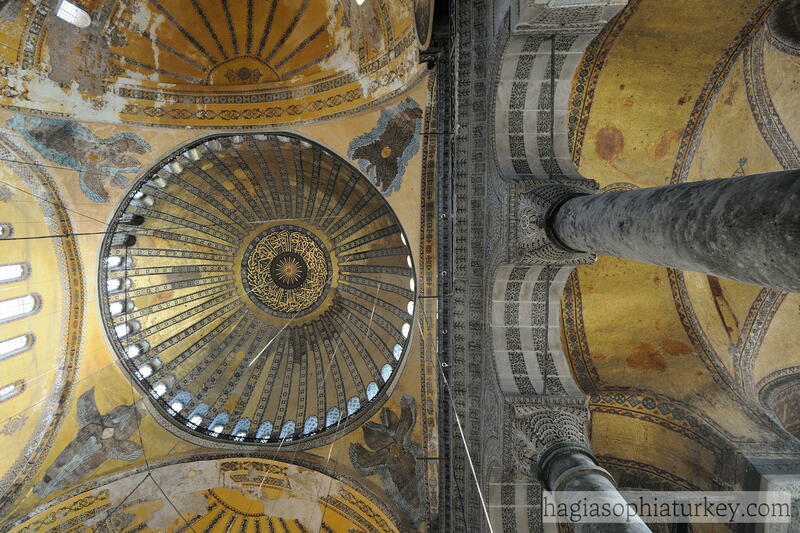 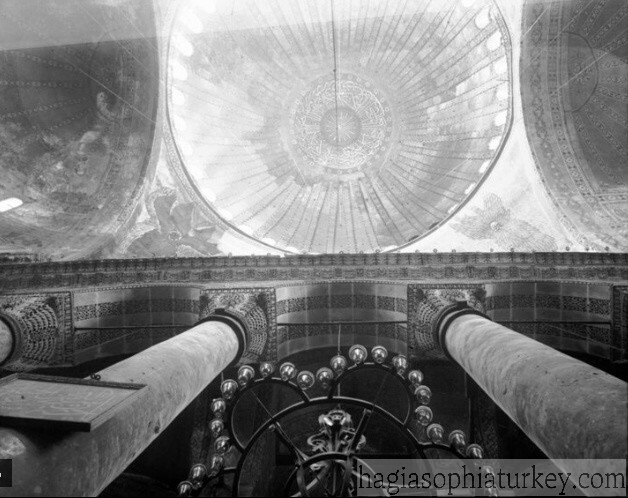 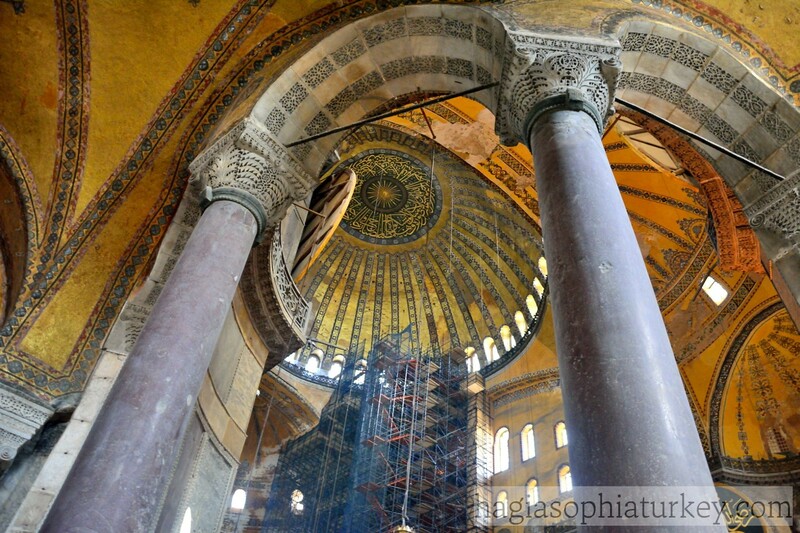 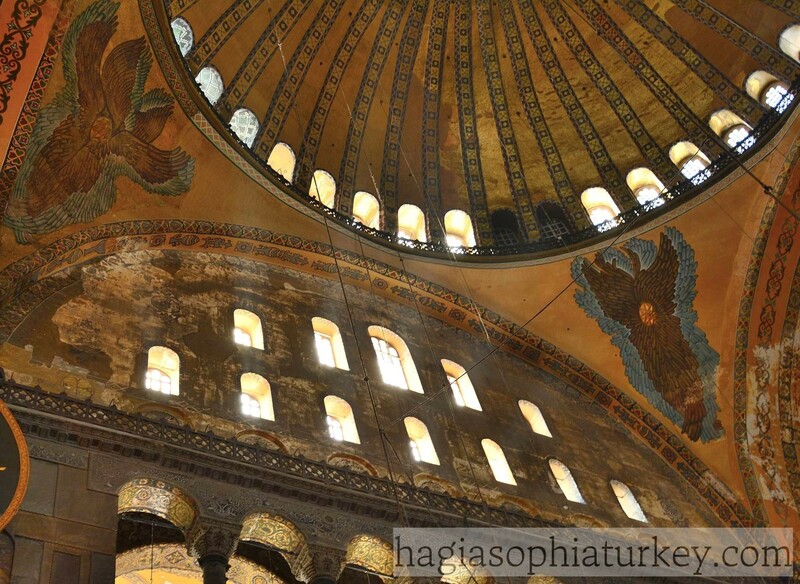 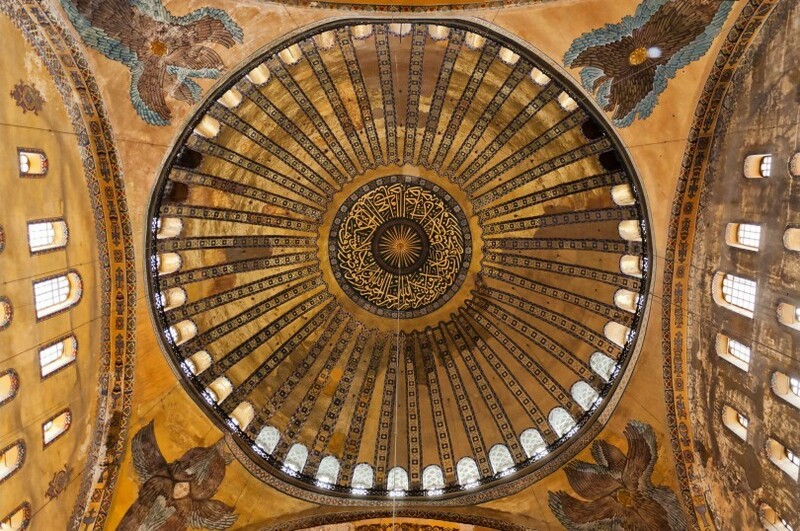 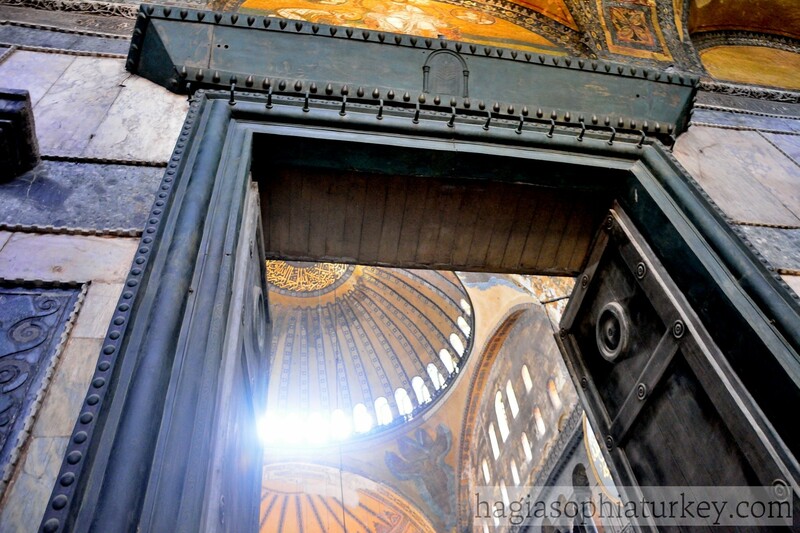 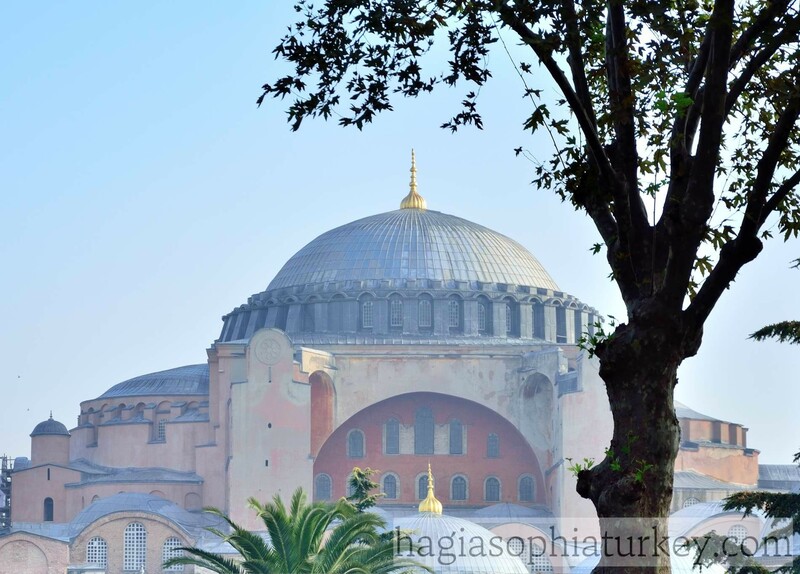 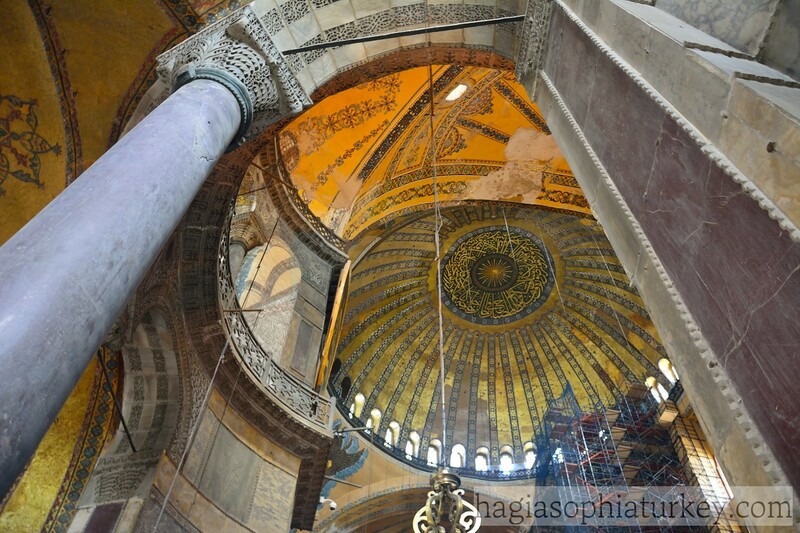 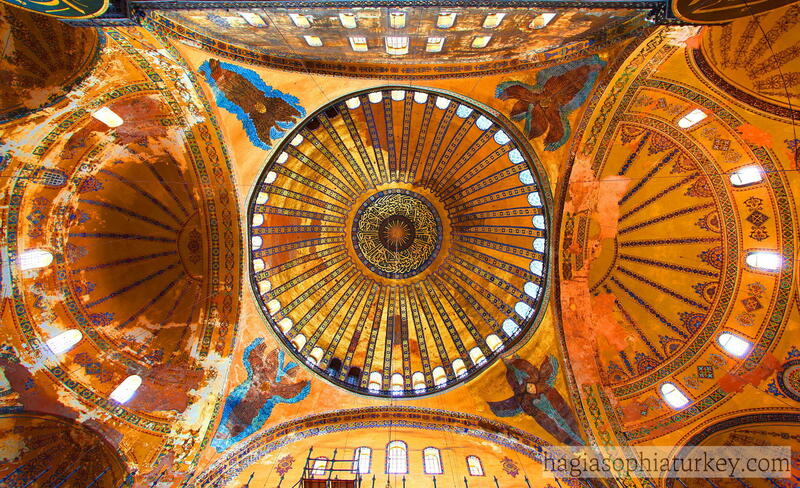 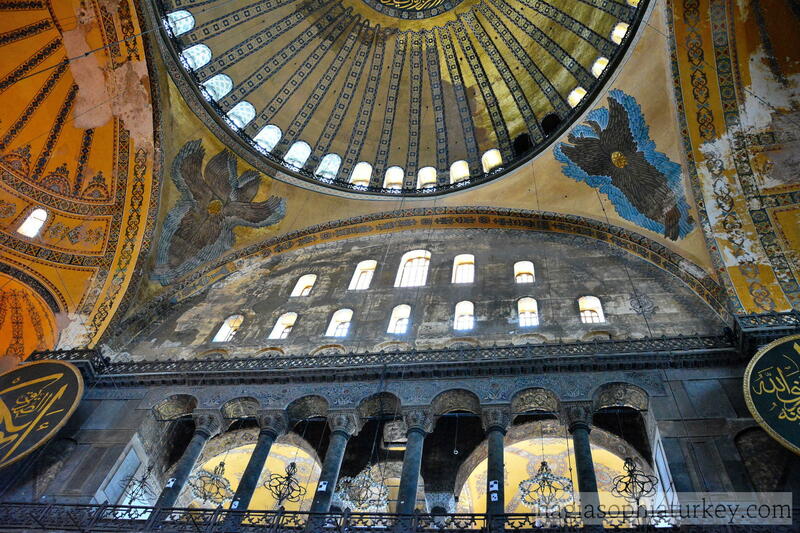 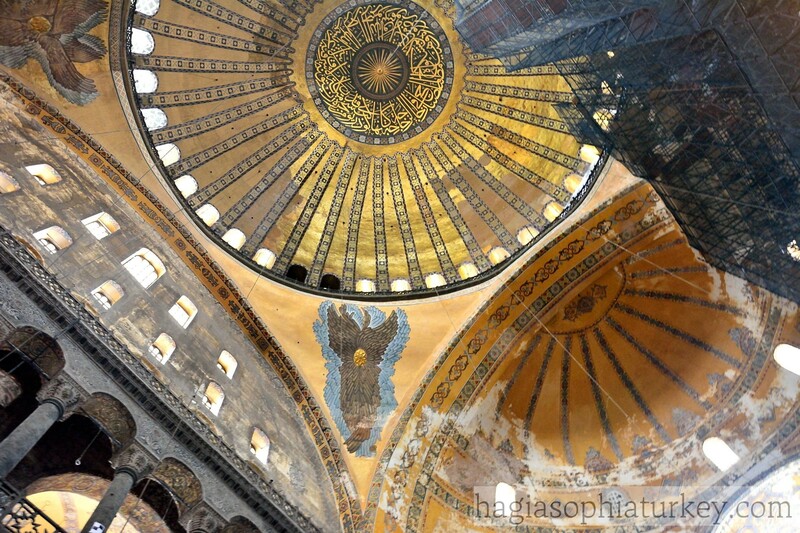 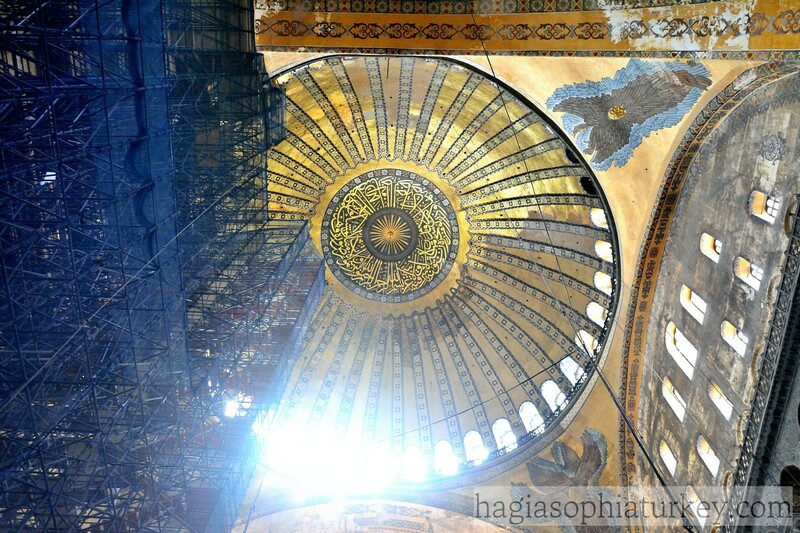 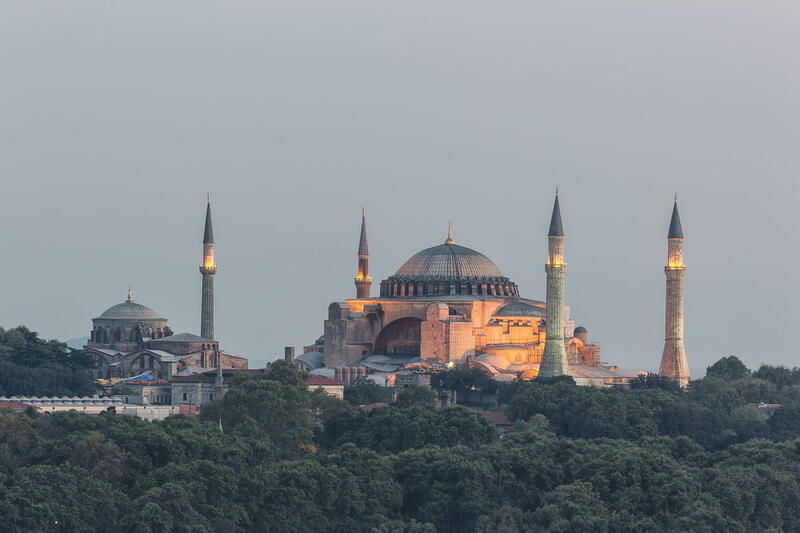 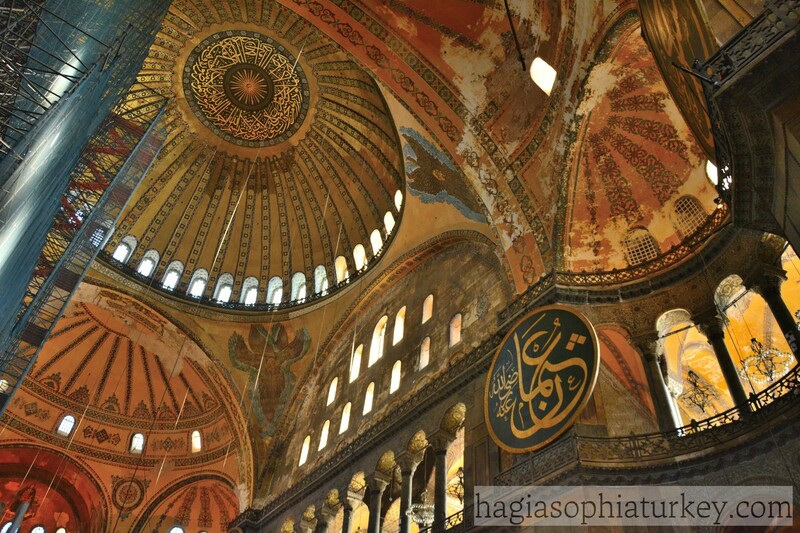 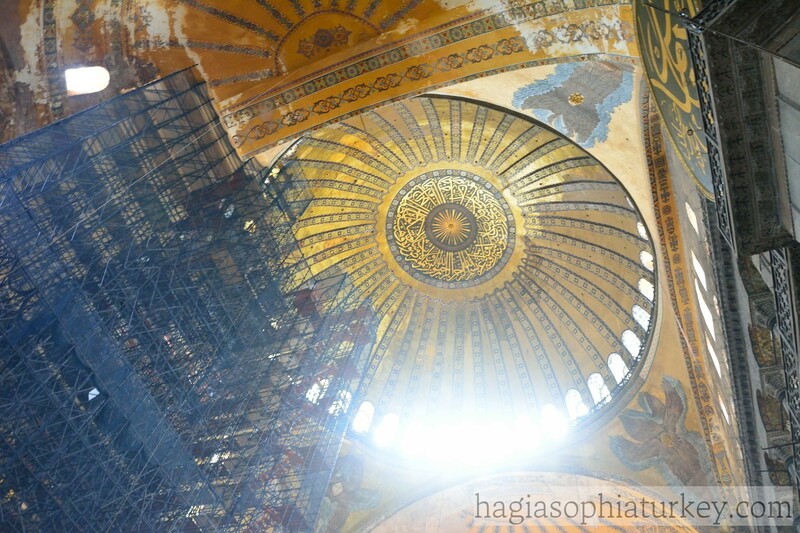 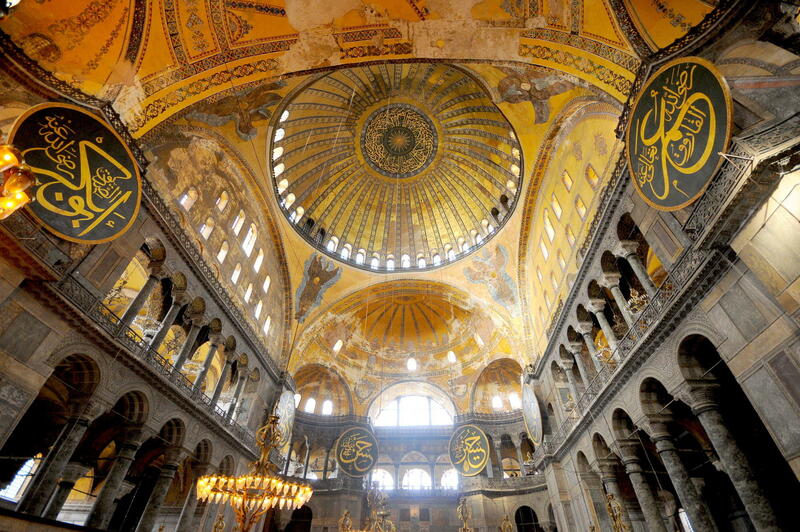 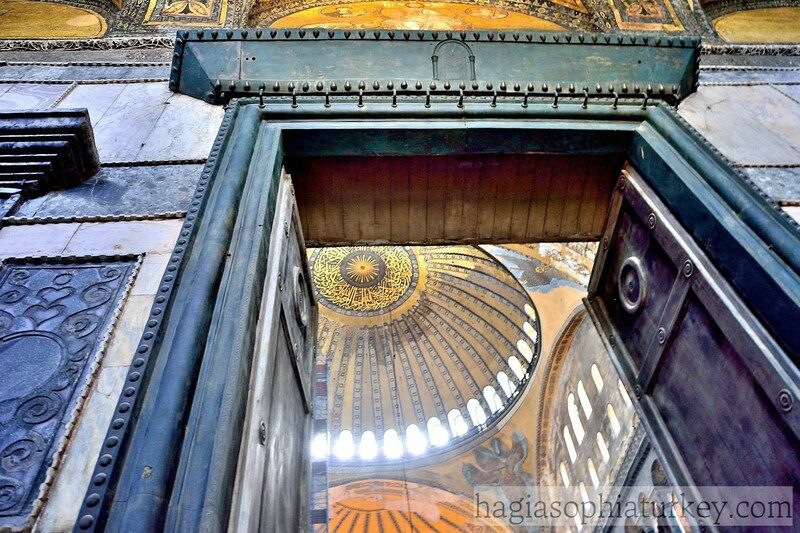 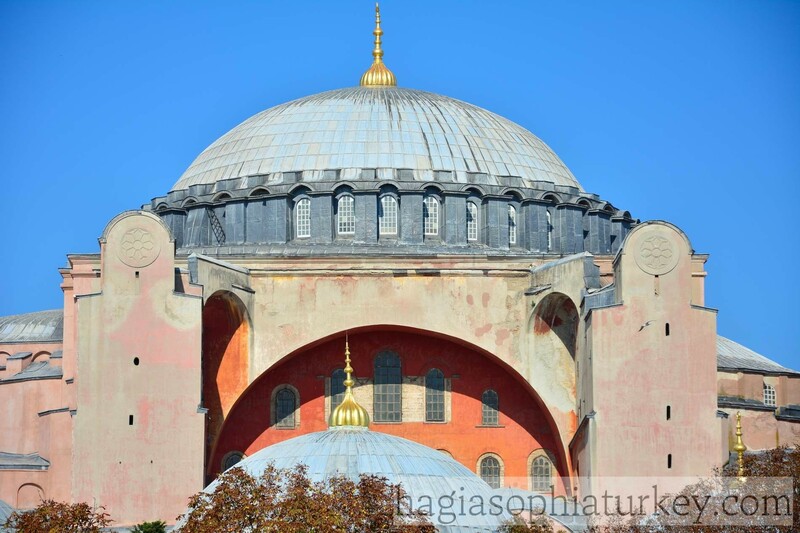 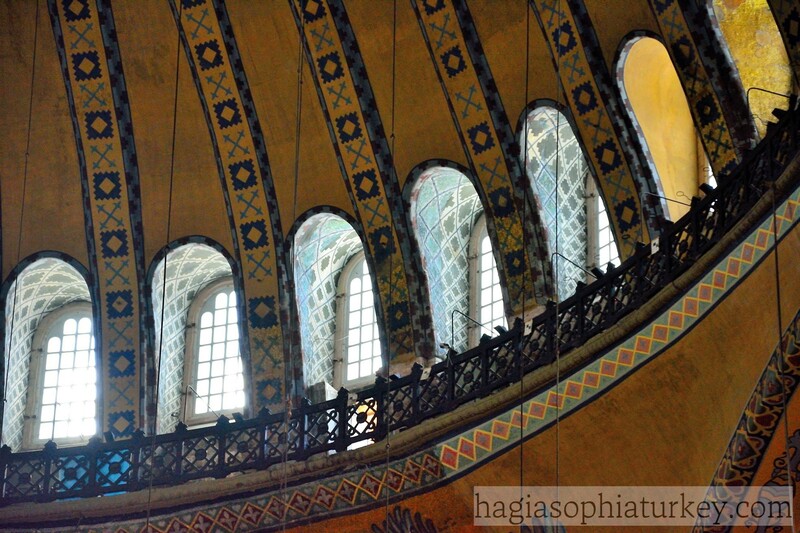 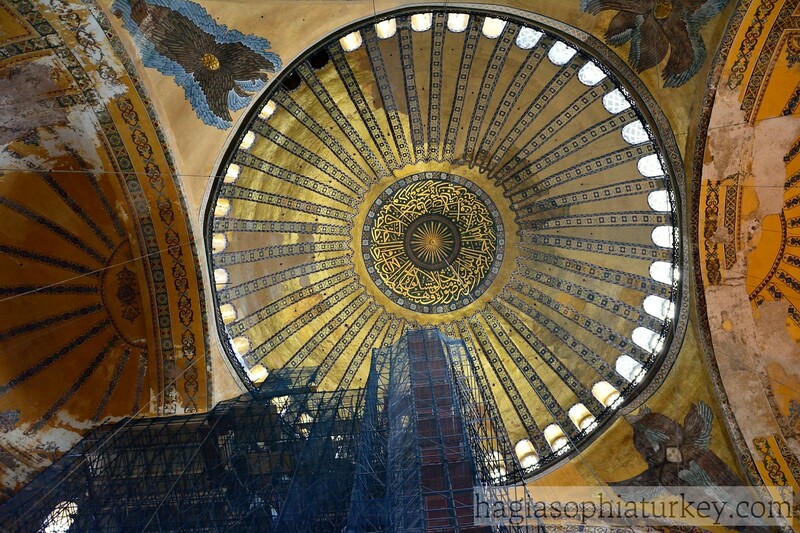 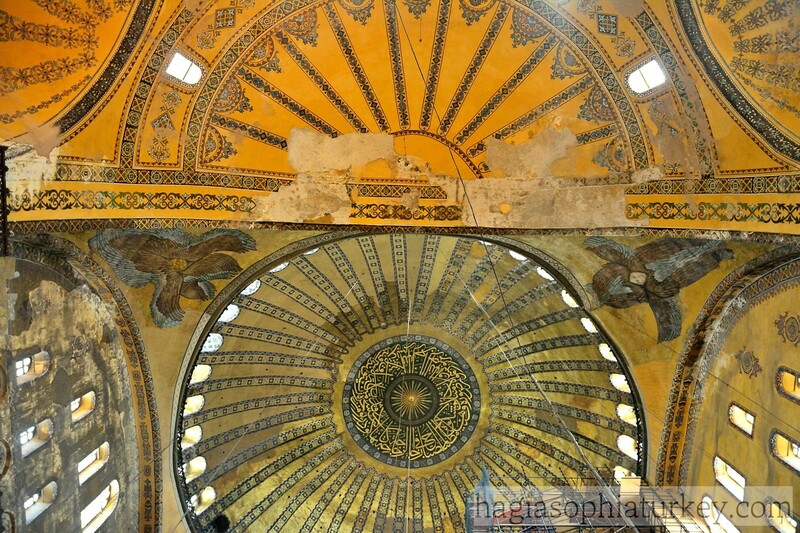 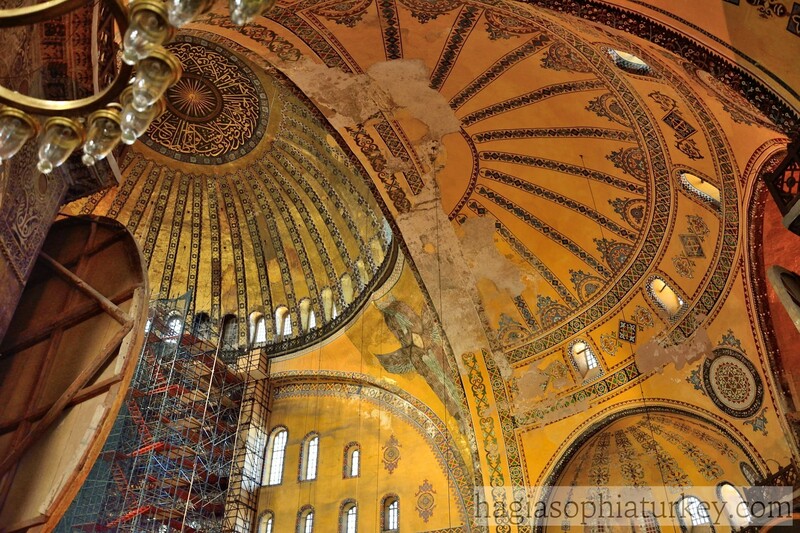 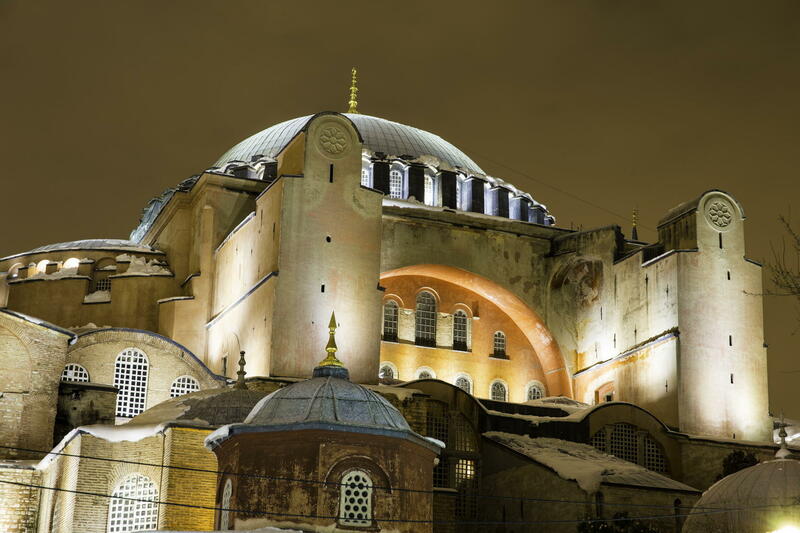 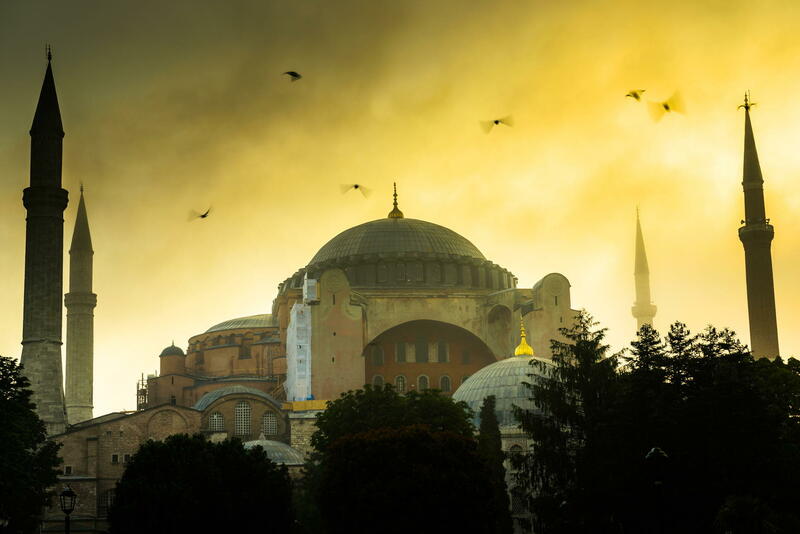 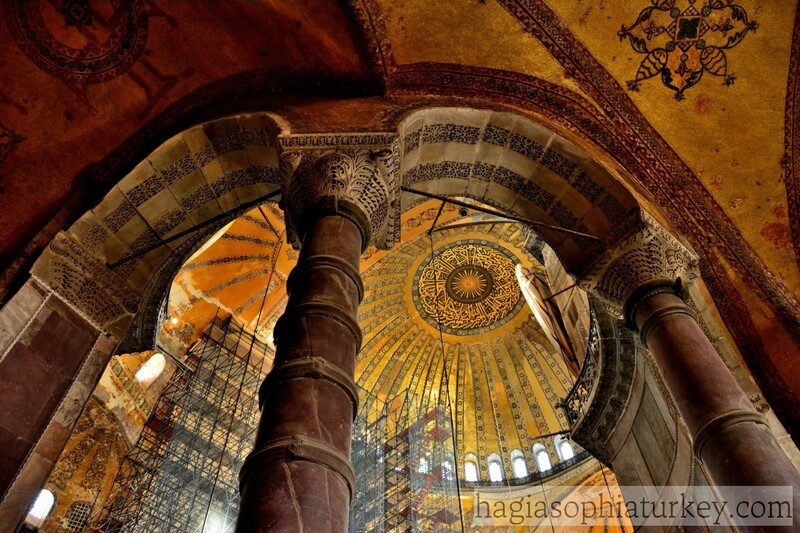 The dome of Hagia Sophia is the most striking element in the structure. 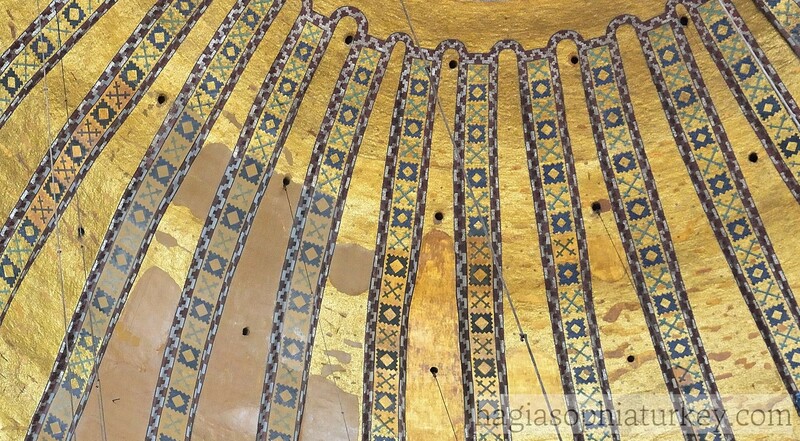 Even though it was made by an intention of leaving behind the buildings made up to that time, the dome of Pantheon is larger. 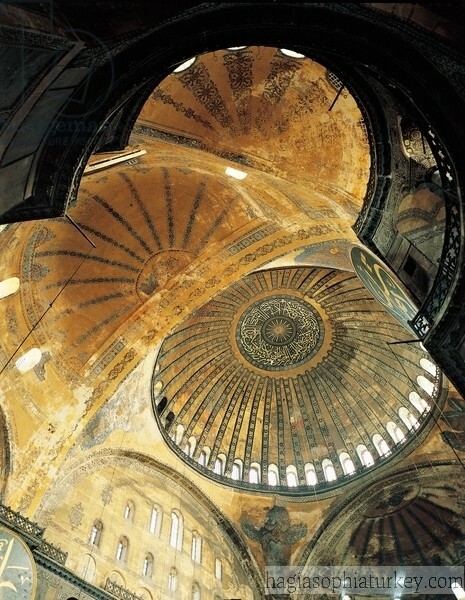 Nevertheless, it’s unique in a style of putting a dome on a square base which combines the secular power of a dome and the spirituality of Christianity with a basilica form. 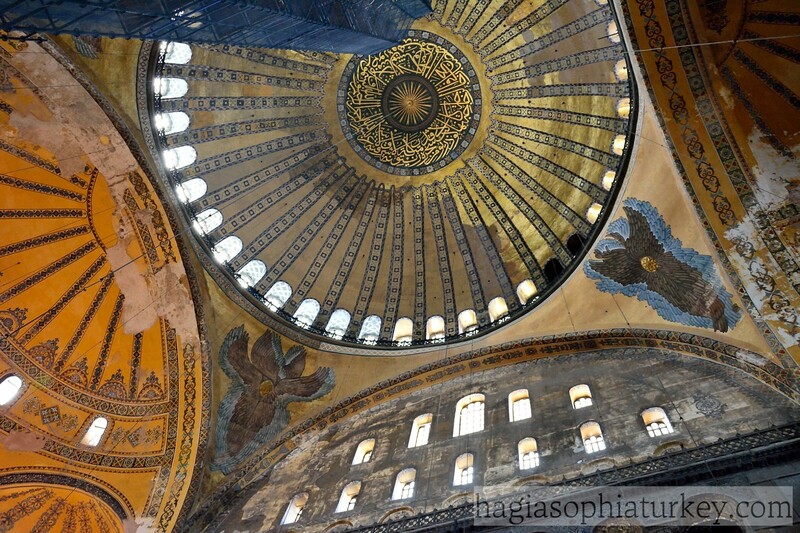 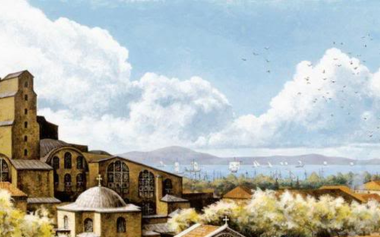 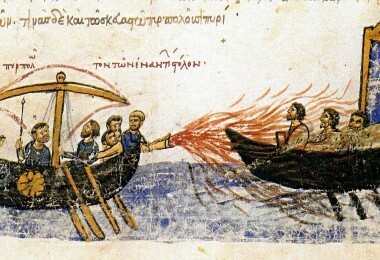 The first dome built by Anthemius & Isidorus was planned as a circle. 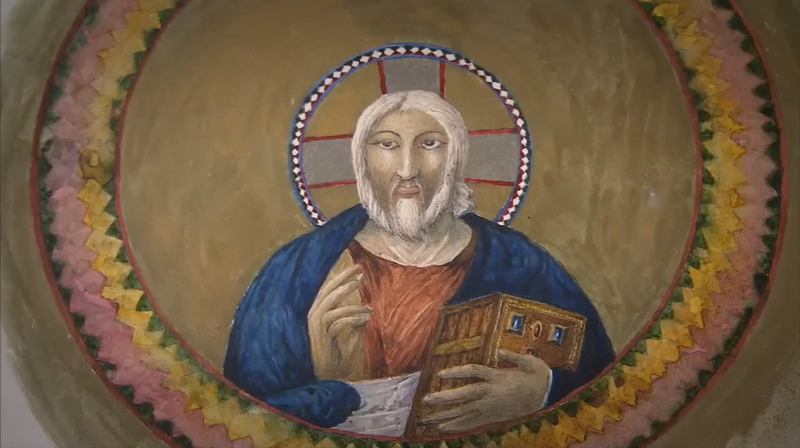 However; it turned out to be an ellipse. 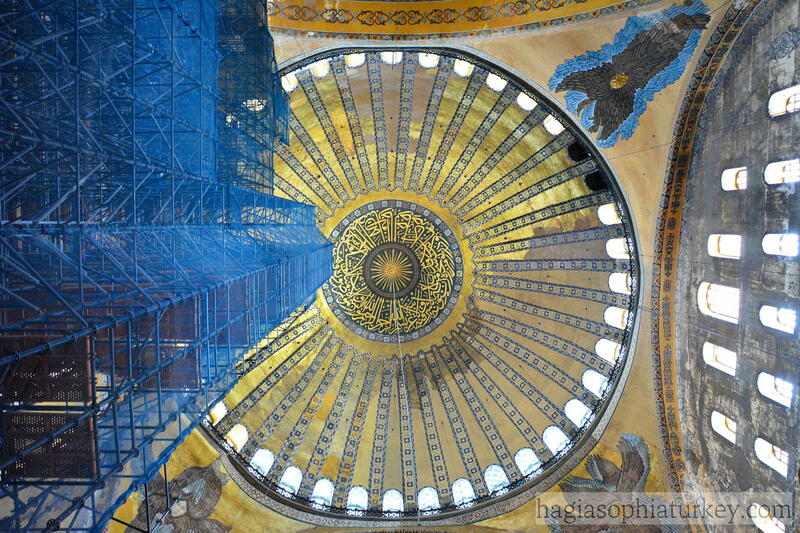 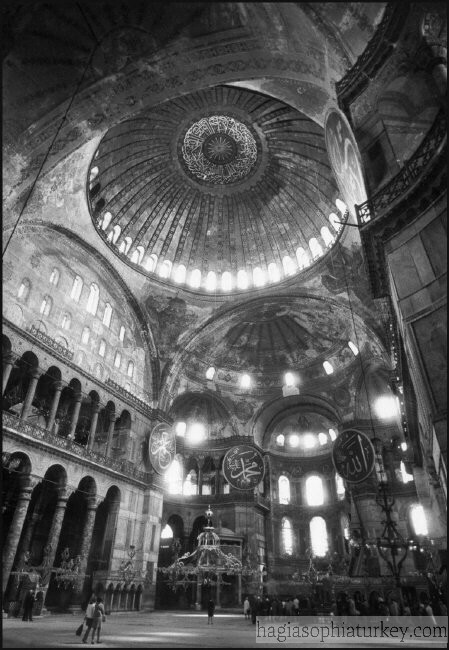 When the dome collapsed mostly during on earthquake in 558, Justinian commissioned Isidore the Younger whose structurally deformed work of art survives still today. 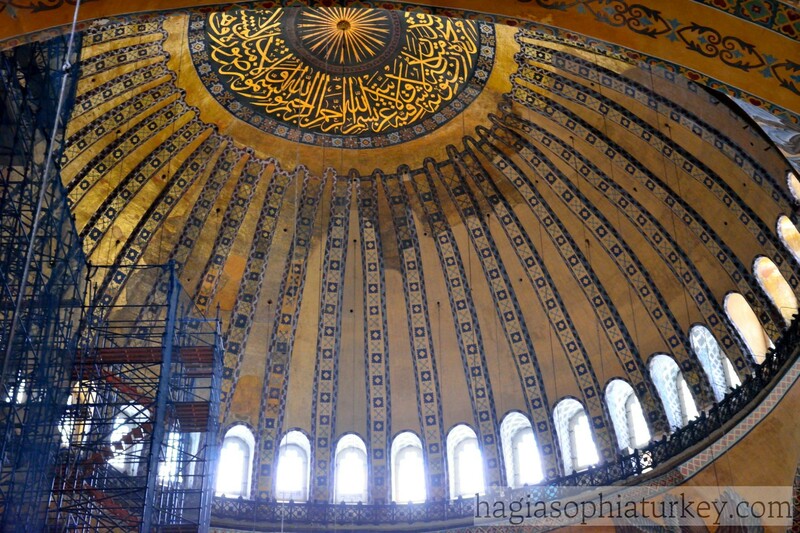 The dome is 31,7 meter in diameter and 55,6 meter high from floor level. 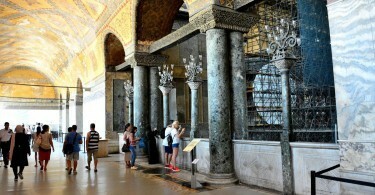 It’s supported by the arches between piers, called pendentives which were unique at those times. 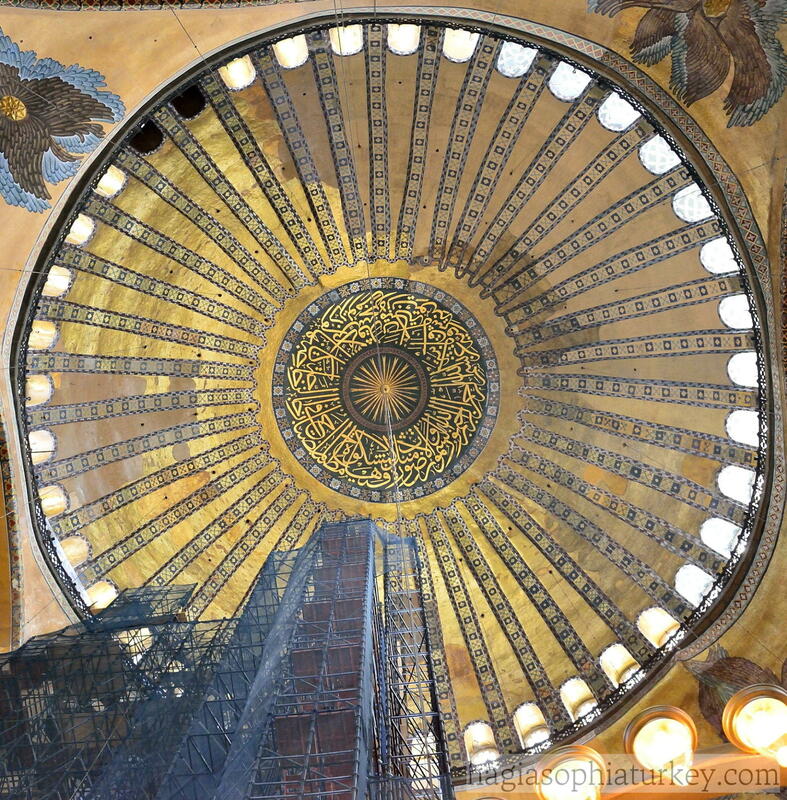 The sunlight which floats all around the church and shines upon the gilded mosaics enters mostly from the forty windows encircling the base of the dome. 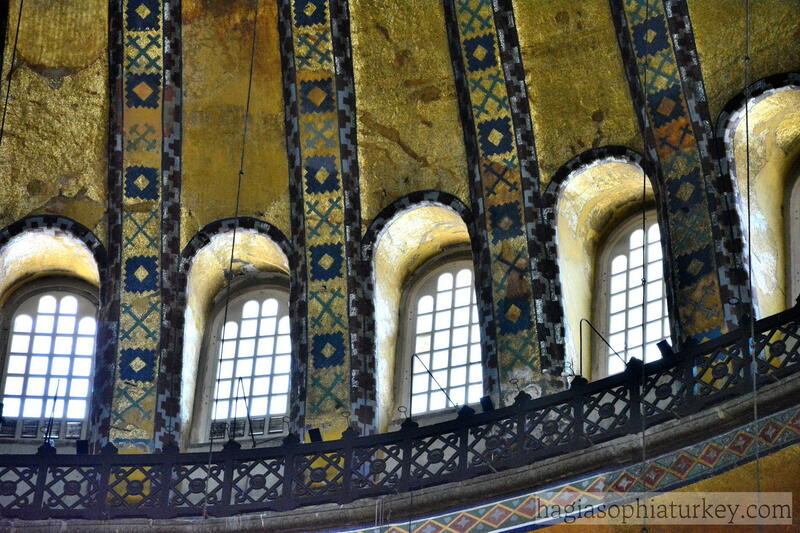 The windows are not only a source of light but also an alarm of a breakdown in the dome. 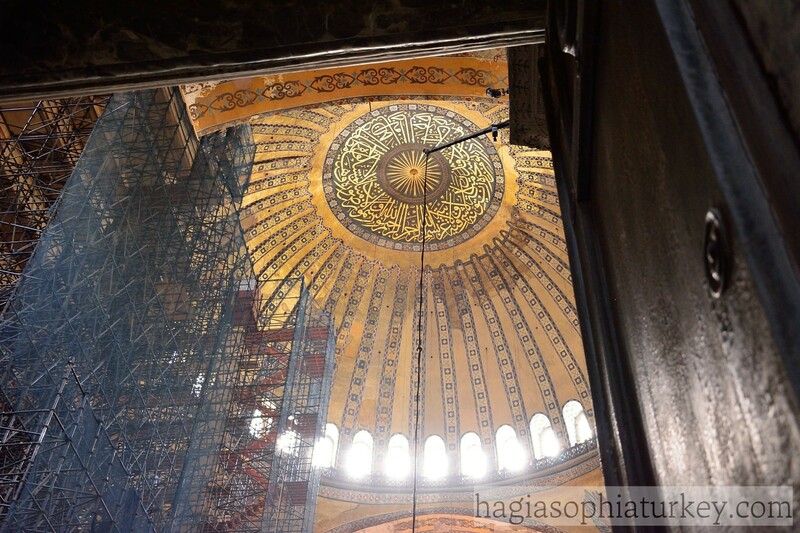 They also relax the pressure of the dome on the pendentives. 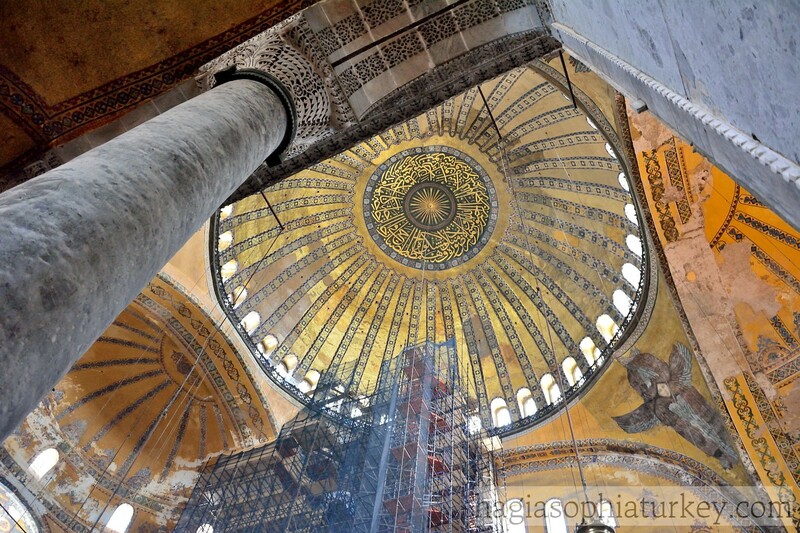 The soil mixture of the dome consists of only mortar and brick. 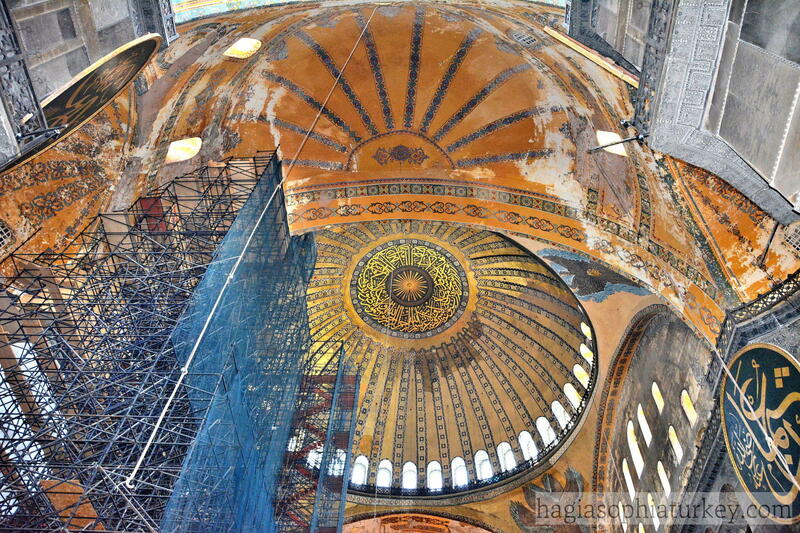 From time to time, restorations have been done to strengthen the structure. 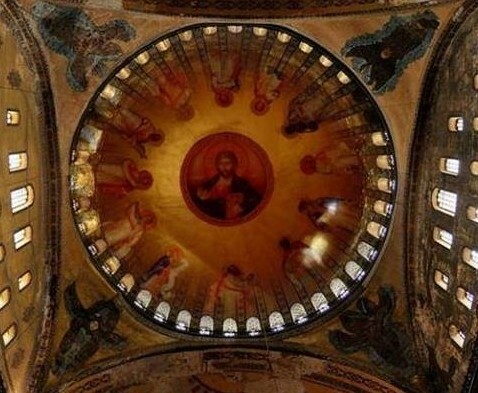 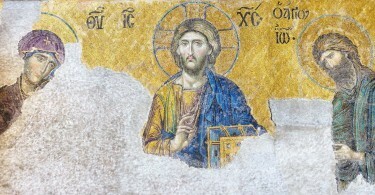 It was believed that originally there was a huge cross and later a mosaic of Christ Pantocrator which is thought to have collapsed in a earthquake. 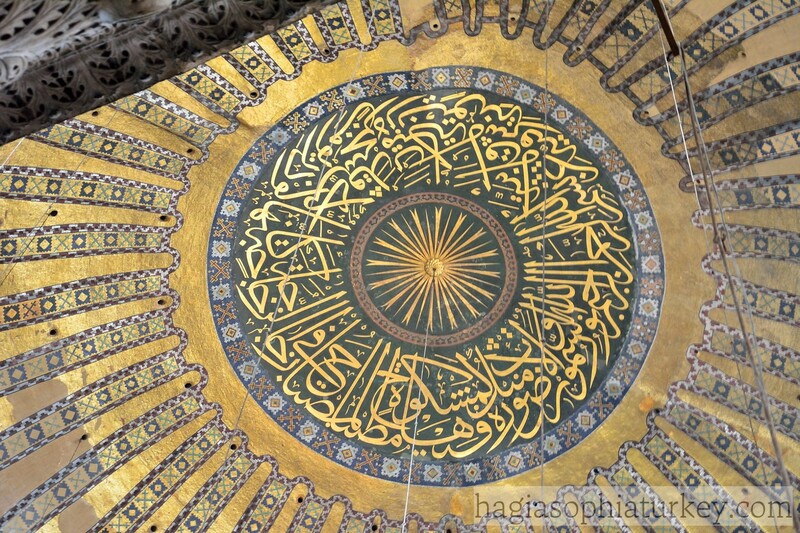 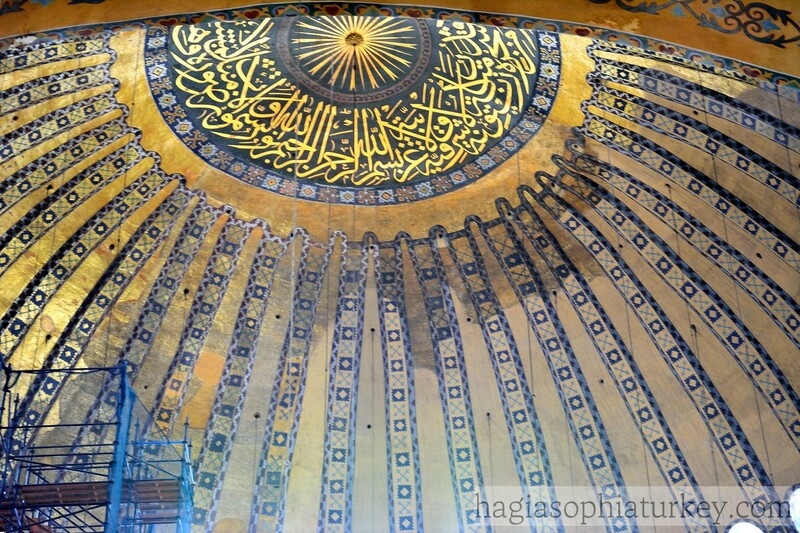 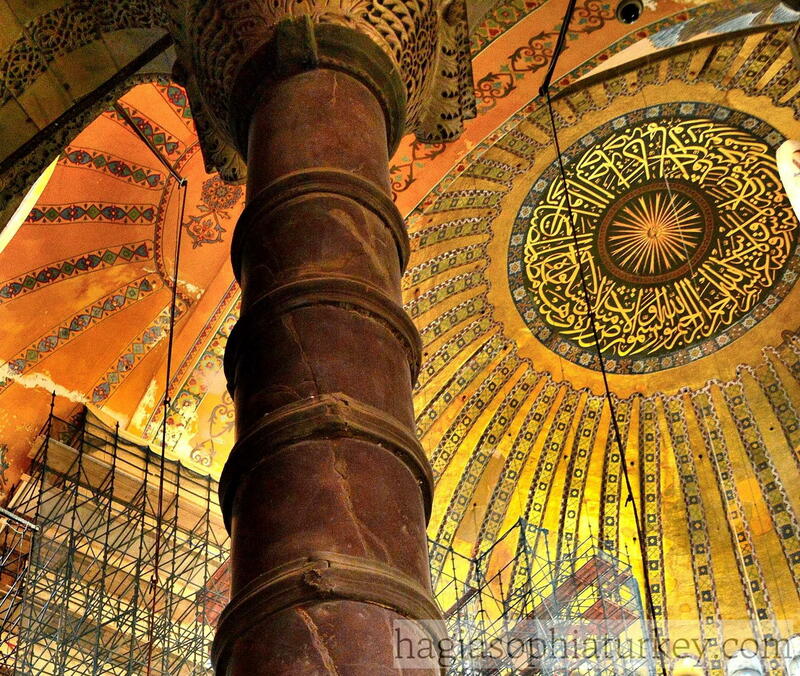 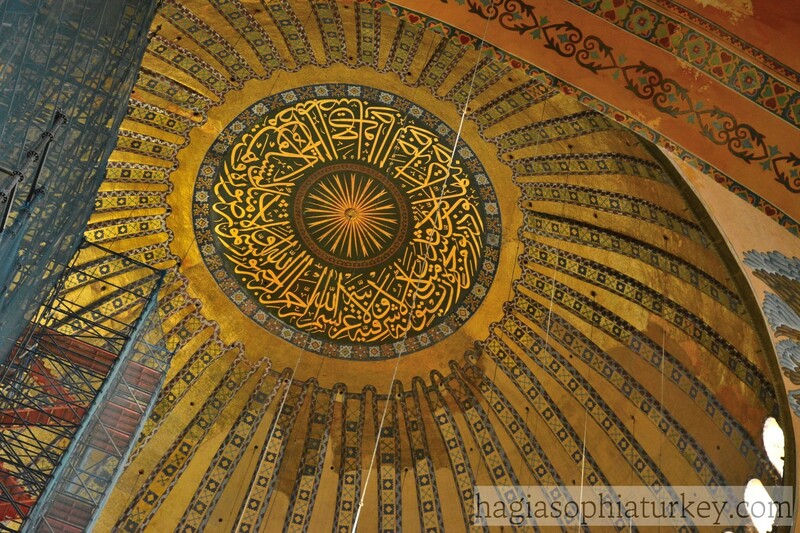 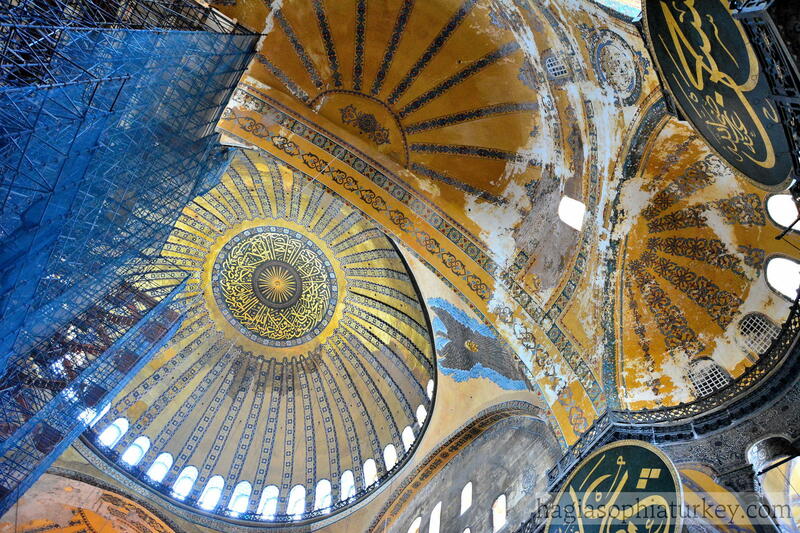 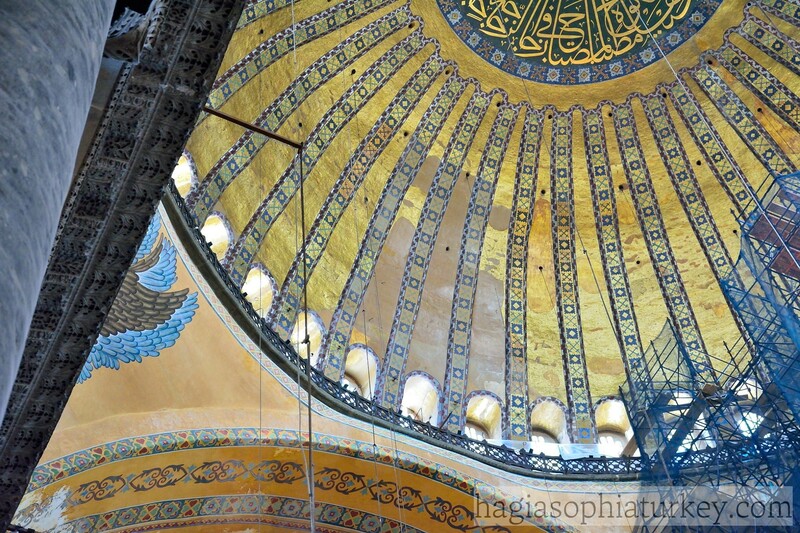 During the Fossati Restoration, a verse from Quran was inscripted by M. İzzet Efendi in the center of dome.